There’s been a lot of news lately about the unexpected side-effects of the government shutdown, but here’s one that hasn’t garnered the attention it deserves. “There’s never been a disaster like this in science before,” he said, explaining that people who are not scientists—including journalists and politicians—seem not to understand the catastrophic ramifications of the closure on scientific studies. “It’s truly unprecedented,” he said. That’s largely because of the nature of scientific research in Antarctica, a unique and fragile natural laboratory. If scientists, including geologists, glaciologists, oceanographers, volcanologists and biologists, fail to gather their annual data, it has the effect of either negating or seriously compromising decades of work—and wasting hundreds of millions of research dollars along the way. “Most climate studies work on trends, and having gaps in the data is detrimental to being able to interpret them properly,” said Ross Powell, a geologist at Northern Illinois University and chief scientist for the WISSARD project, the first drilling expedition to discover life in a buried Antarctic lake. This year, with a $10-million investment by the NSF, Powell and his colleagues planned to search for a hidden estuary beneath the Ross Ice Shelf. Powell says that losing this field season would mean already wasting half the money, not to mention the myriad hours of operational and planning time. “These conclusions rely on continuity, and some of these studies have been going on for well over twenty years,” she said. Richard Jeong, a researcher currently based at McMurdo, the United States’ Antarctic science facility and the largest research community on the continent, has begun to circulate a Change.org petition, calling for a shutdown exemption for Antarctic Program. More than 2,000 individuals have signed it, but it may be too late. 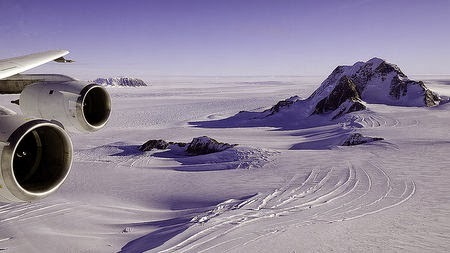 Unlike national parks, which could reopen on Monday if the government reopened tomorrow—the amount of time and logistical preparation required to prepare for the Antarctic research program makes the likelihood of rescuing this research season extremely unlikely. And there’s safety considerations, too. “Would you want to deploy a group of mountaineers to the Antarctic knowing that you won’t have enough search and rescue people back at the station?” said Hofmann. The National Science Foundation, which furloughed 99 percent of its workforce, has been unavailable to answer calls or provide real clarity on the situation. The personal cost of the shutdown is also enormous for the staff, contractors and researchers. For example, two PhD students under Powell’s supervision who were set to go to Antarctica this month for thesis research may have to extend their study for an extra year, putting universities in precarious funding situations. Lydia Kapsenberg, a PhD candidate at UCSB who was preparing to leave for Antarctica to continue an ongoing study on ocean acidification, says she and her team could expect to lose up to two years of data. “We’re looking at how changes in pH will affect animals and in order to do that we need to know what their current exposure is,” she said. For now, it’s a waiting game, and people try and predict which types of studies can be saved, and which are simply ruined. “Really awful things are happening as Congress recklessly and carelessly has their macho stare down,” said Hofmann.